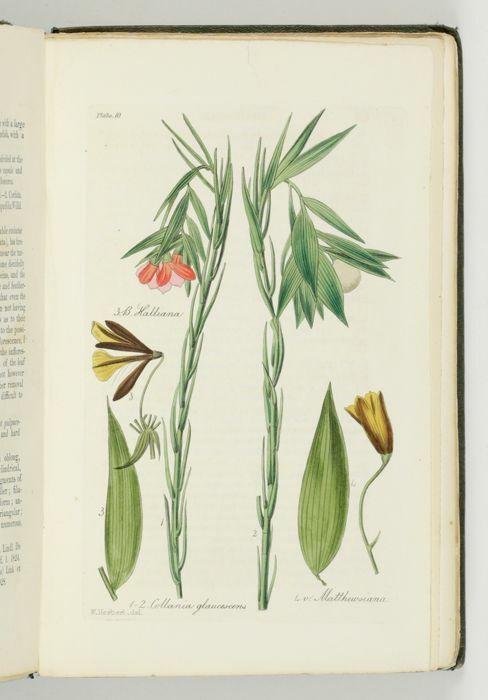 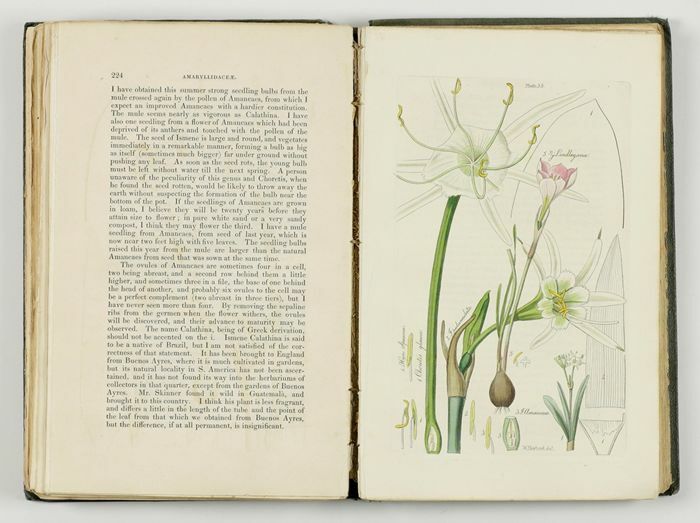 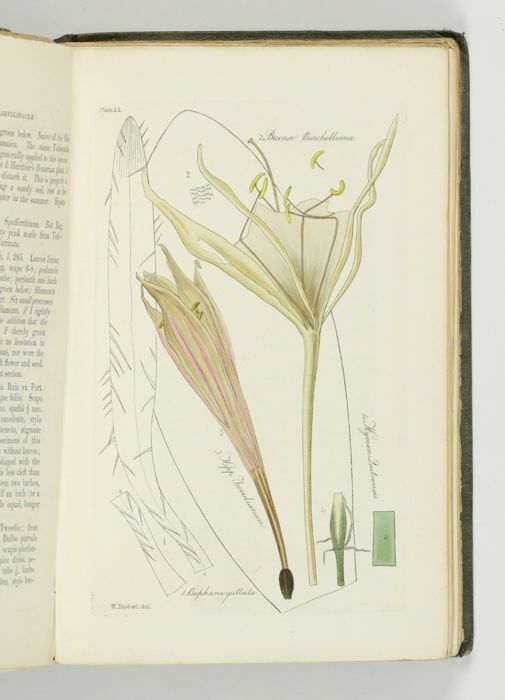 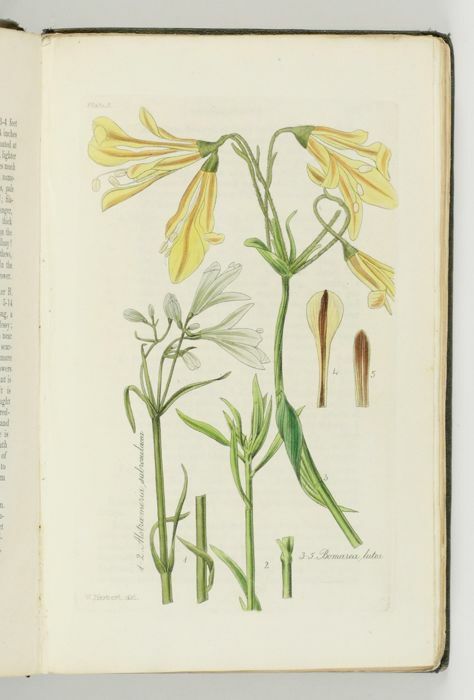 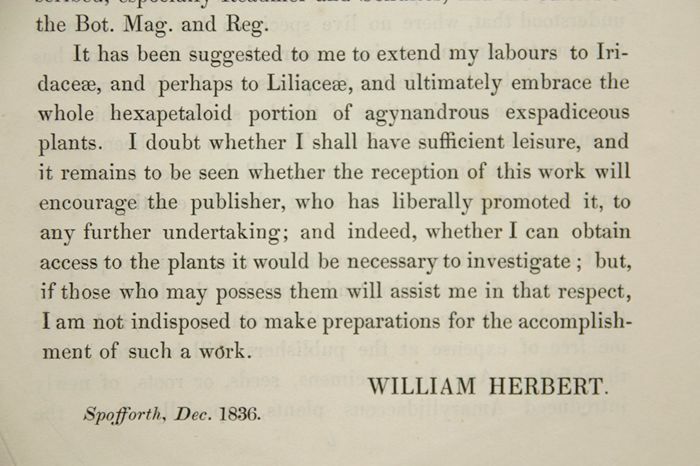 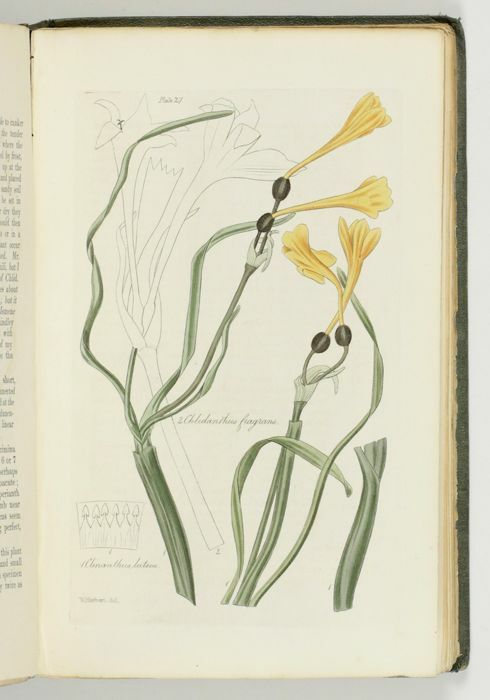 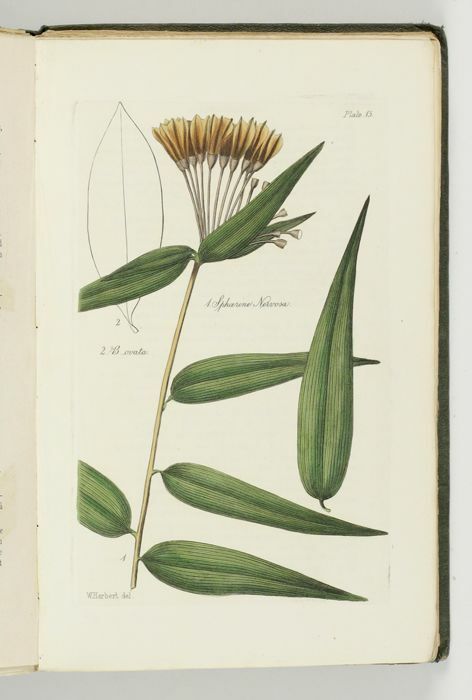 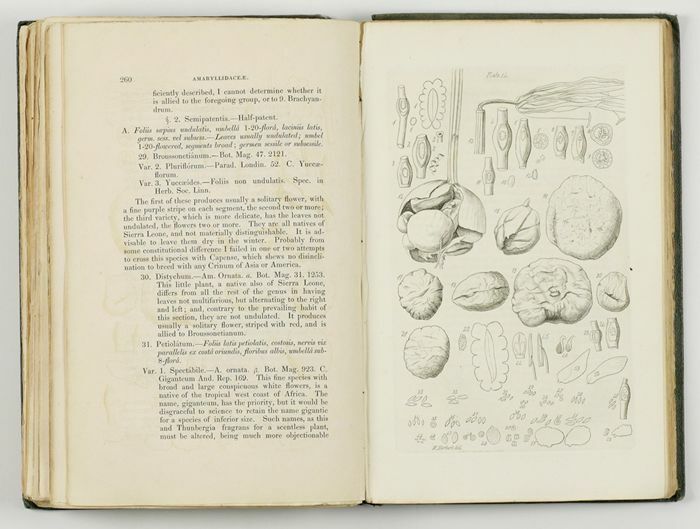 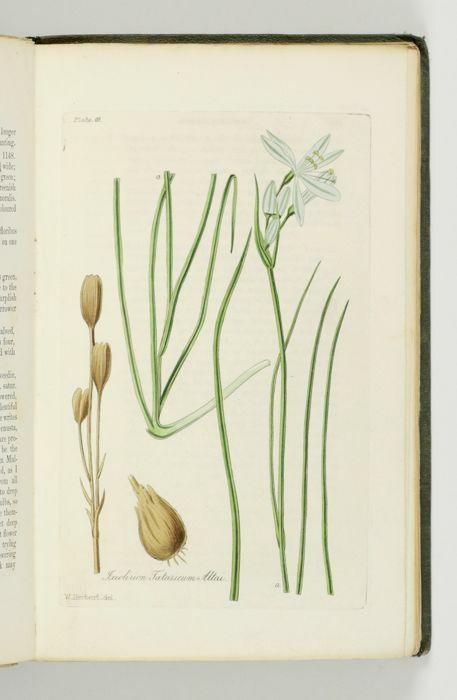 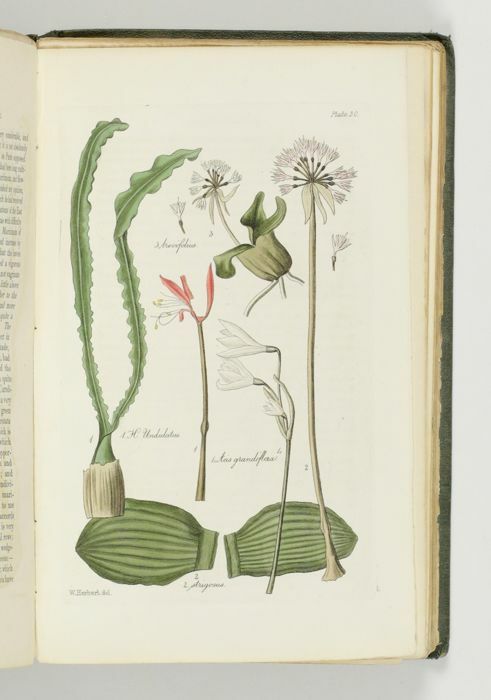 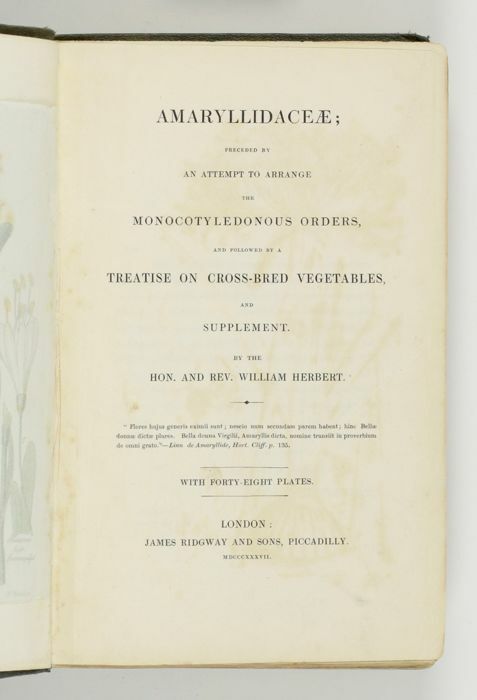 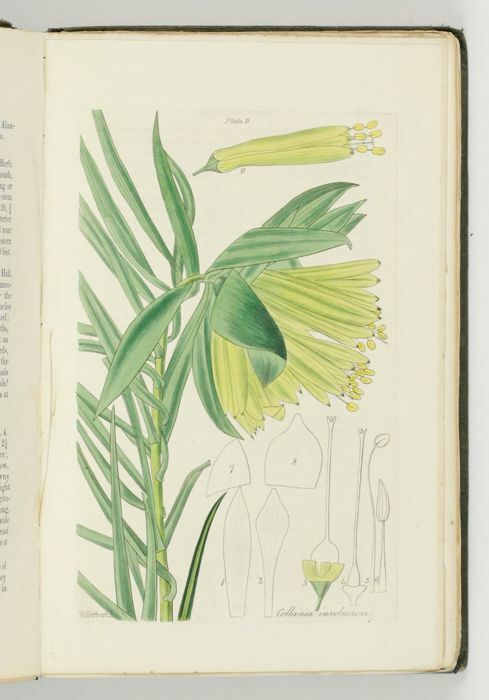 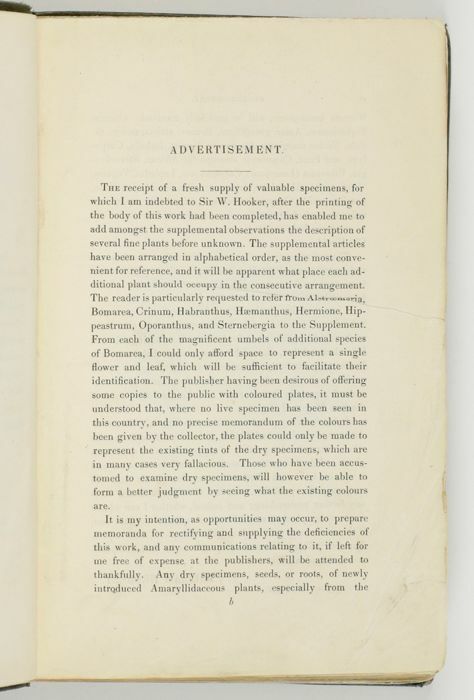 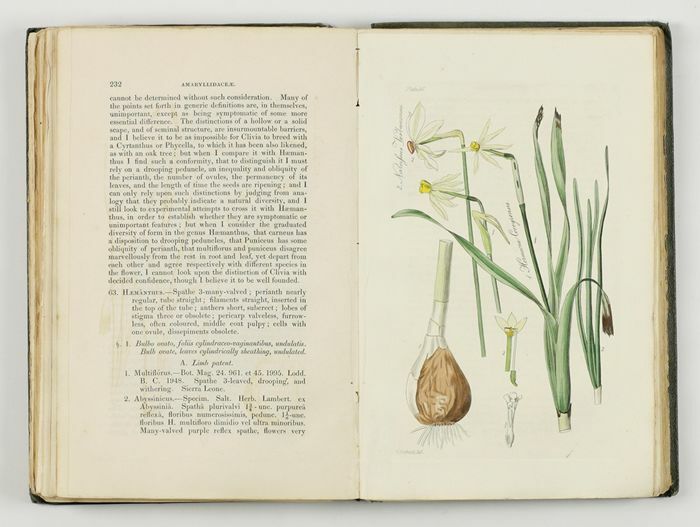 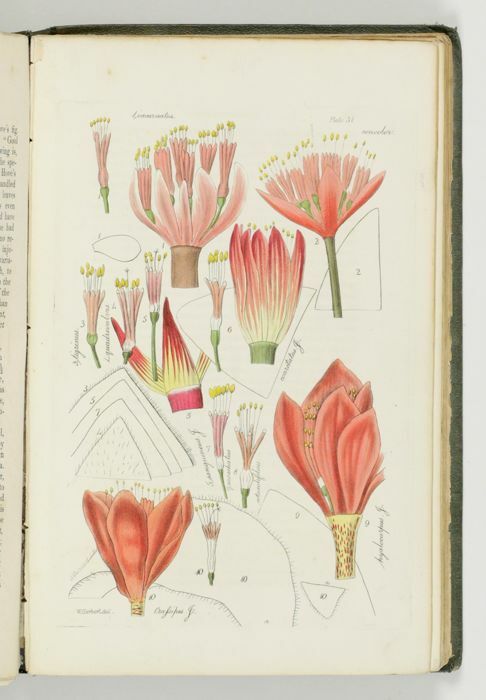 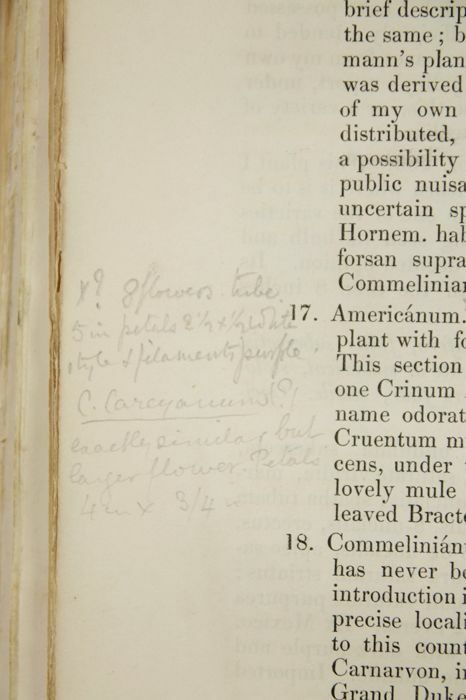 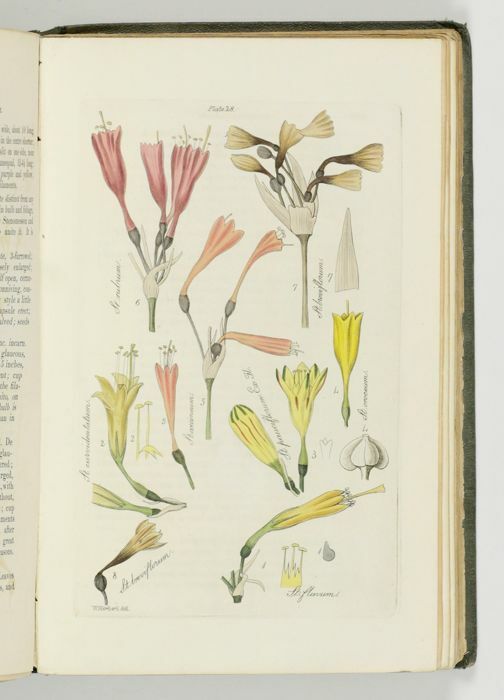 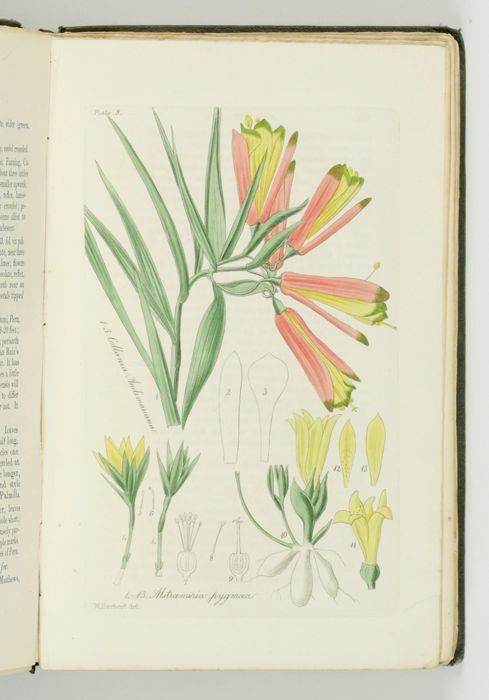 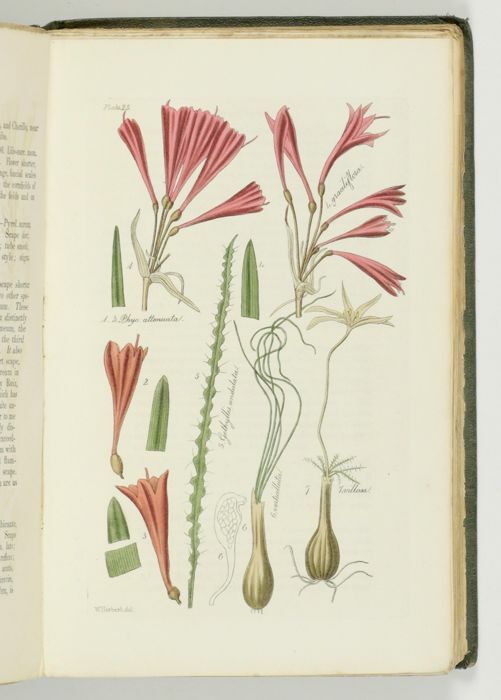 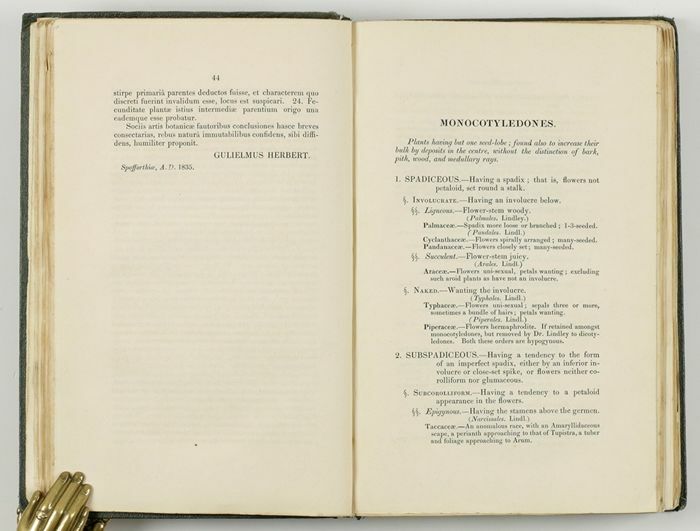 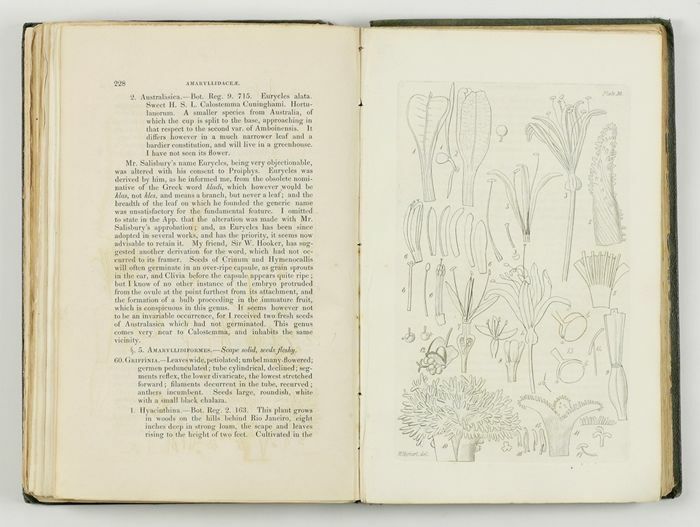 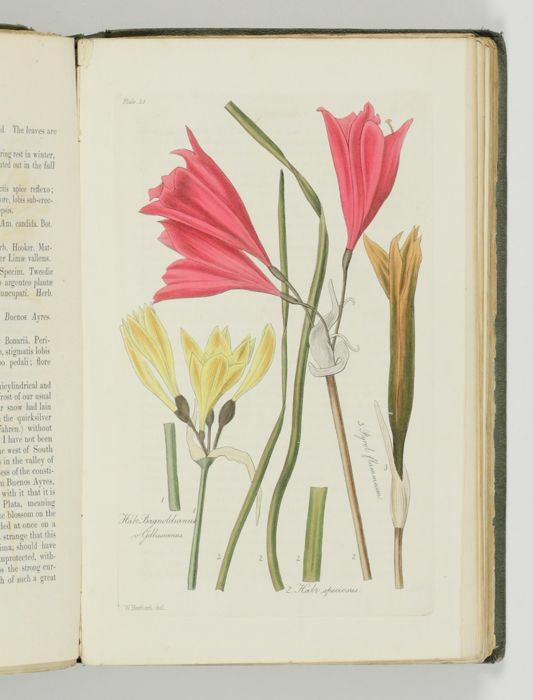 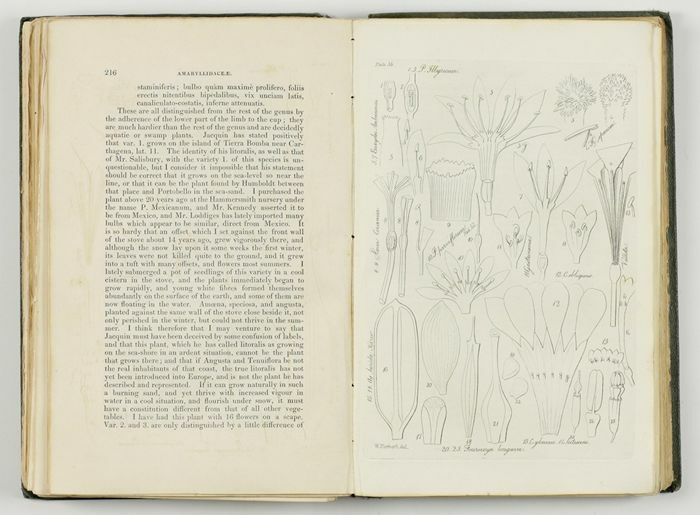 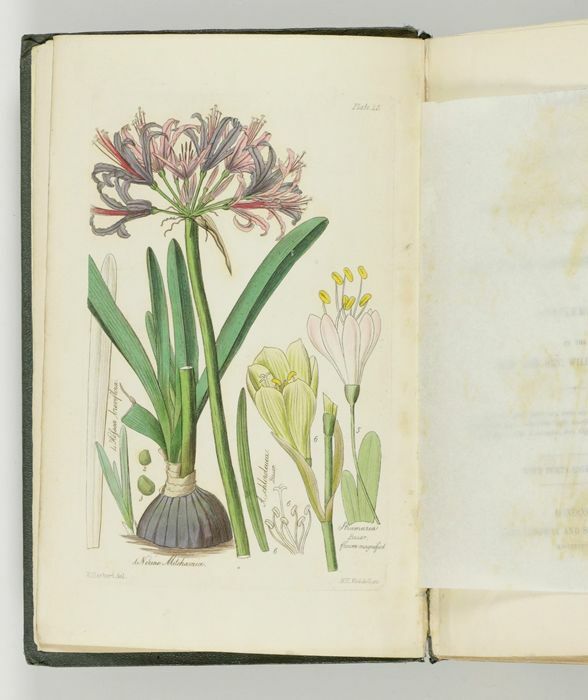 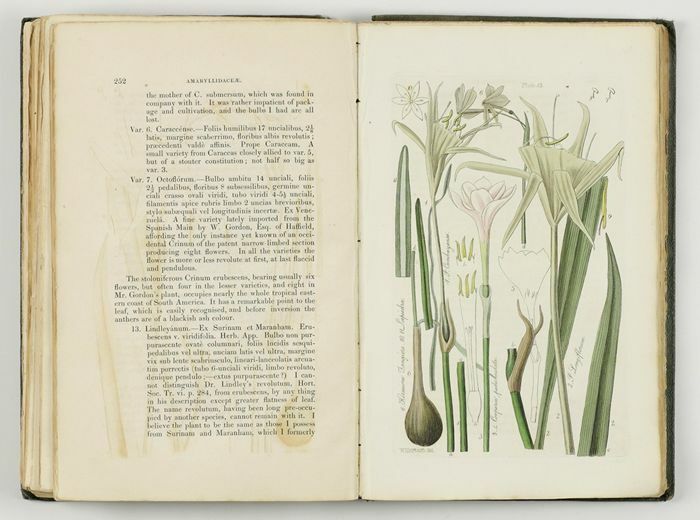 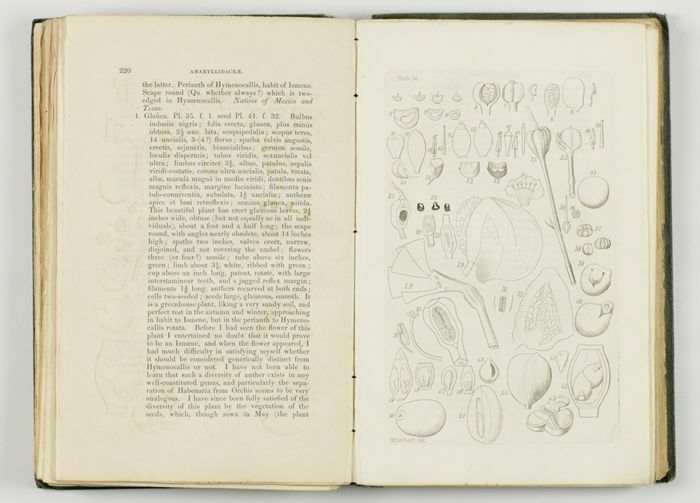 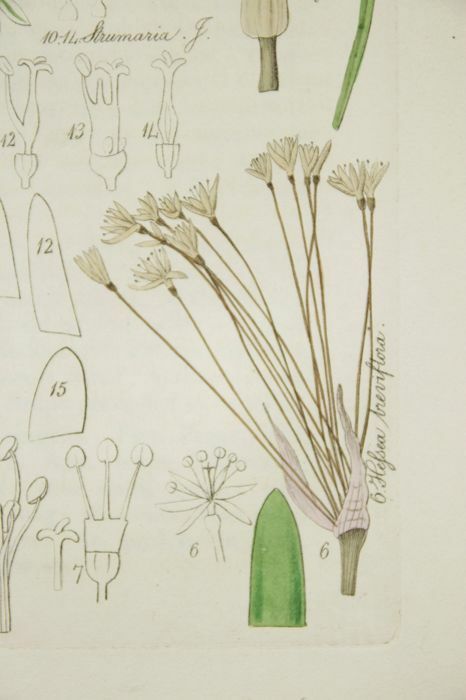 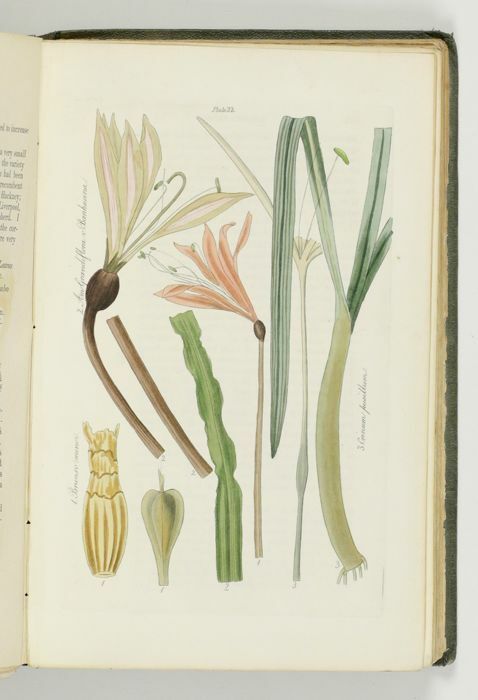 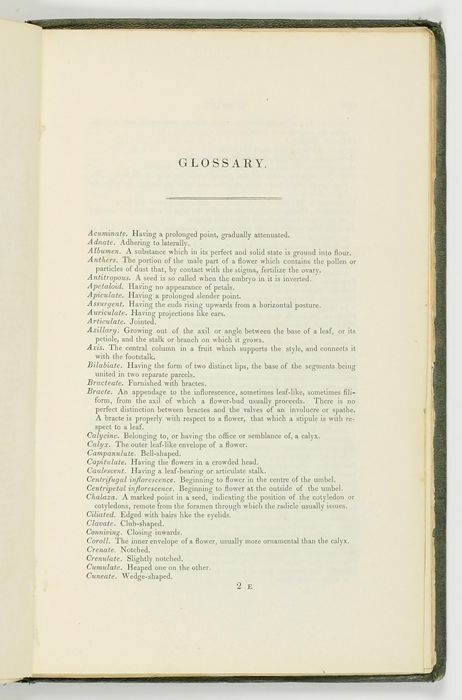 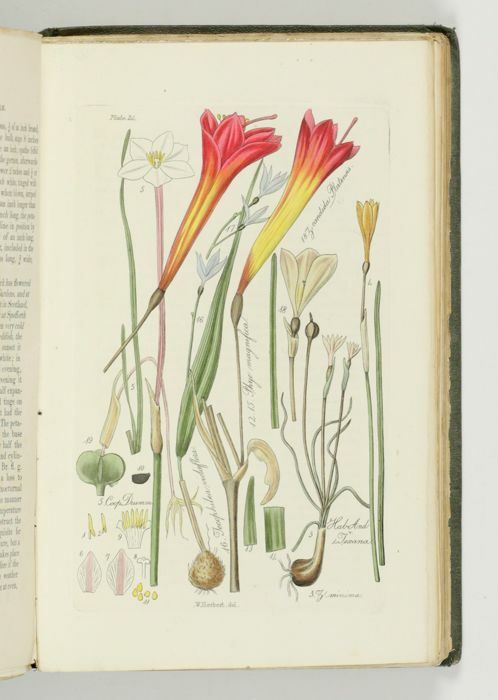 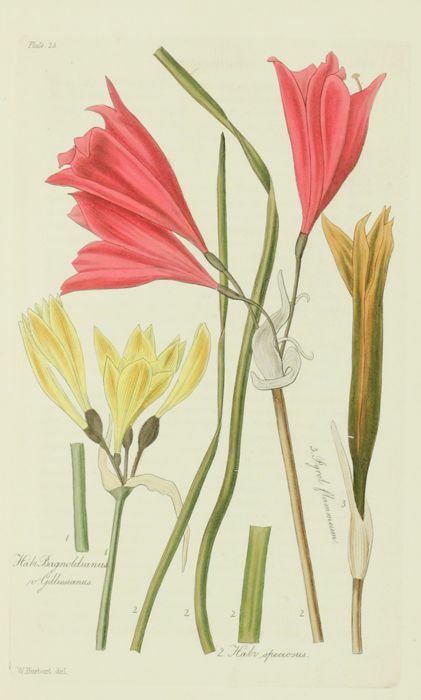 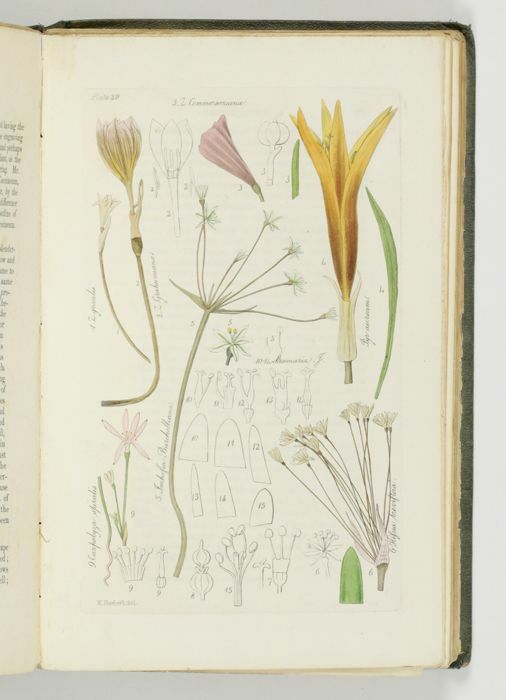 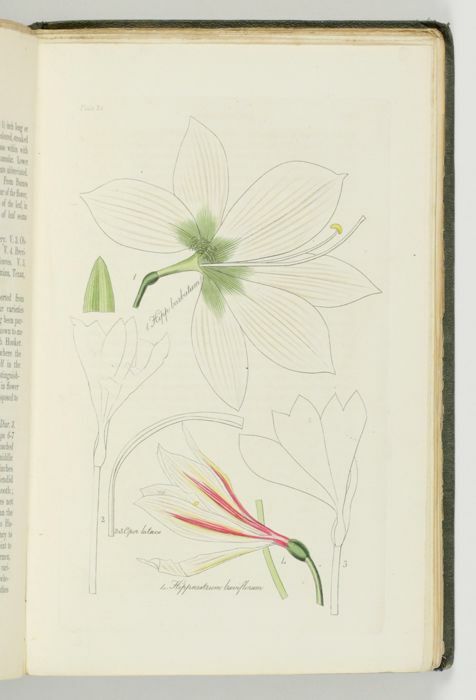 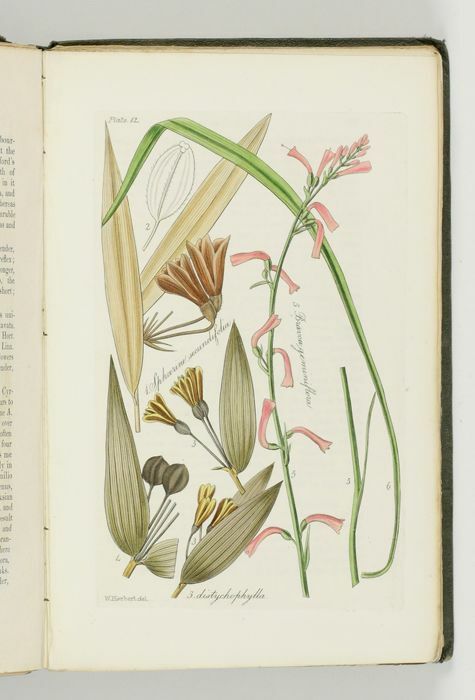 The full title is: Amaryllidaceae; preceded by an attempt to arrange the monocotyledonous orders and followed by a treatise on cross-bred vegetables and supplement. 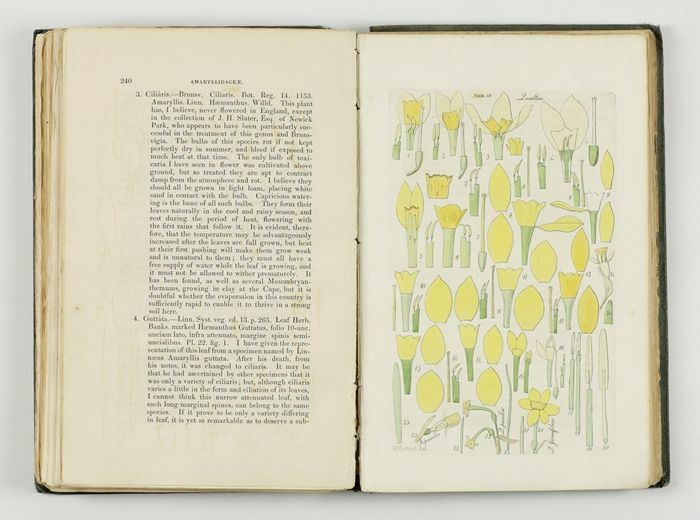 It has 48 engraved plates of which 43 are nicely hand-coloured (including plate 45 which acts as frontispiece). 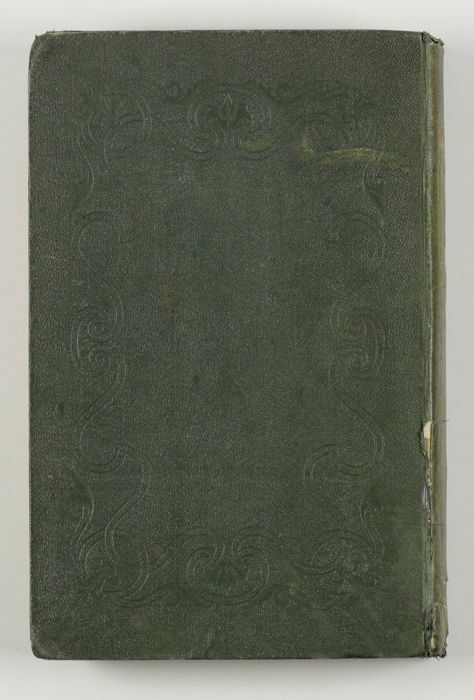 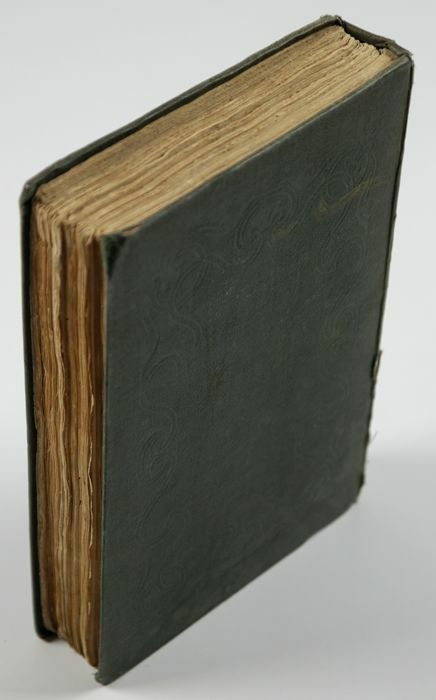 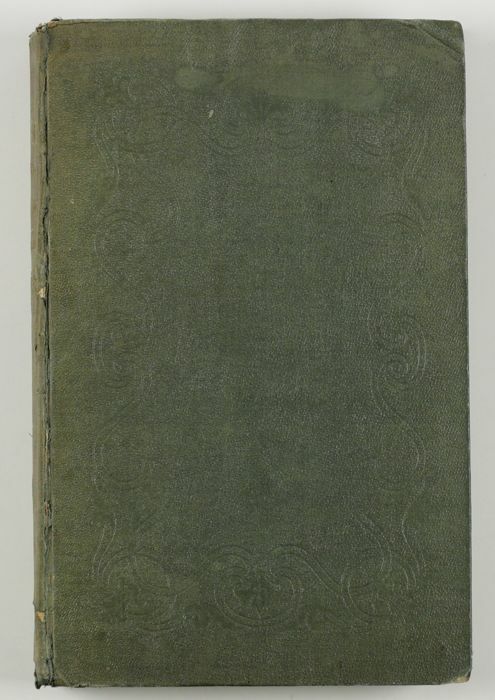 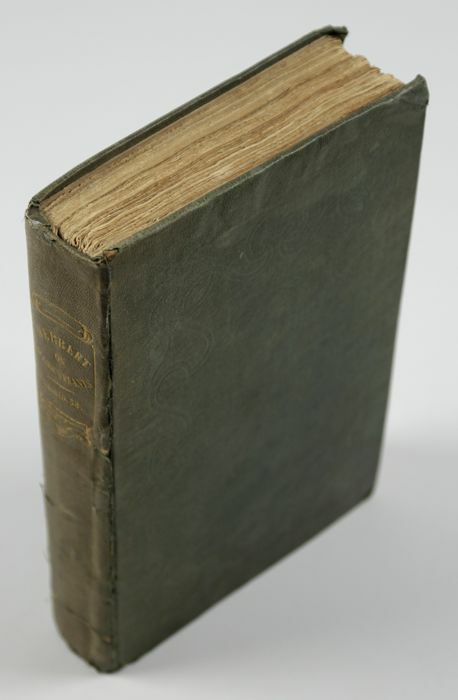 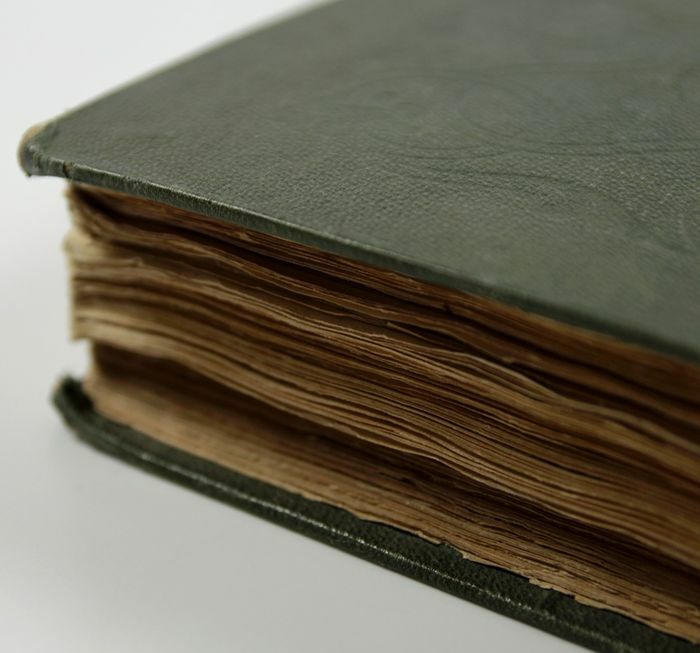 It comes in a contemporary (probably the publisher's) green pebbled and blind-stamped cloth, with gilt ornament, title on the spine. 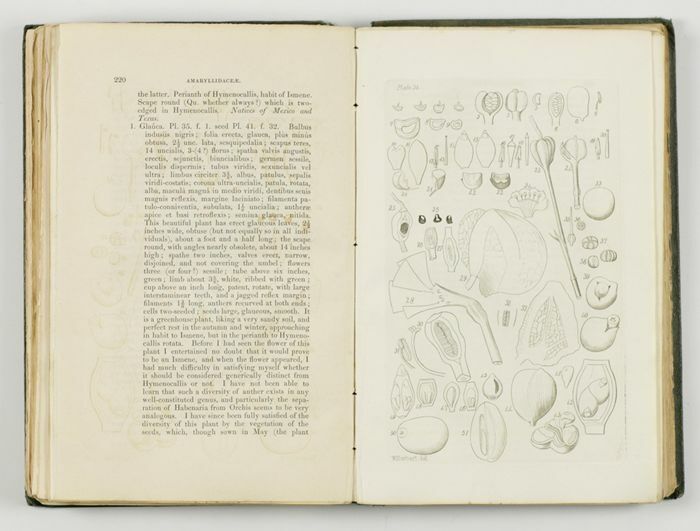 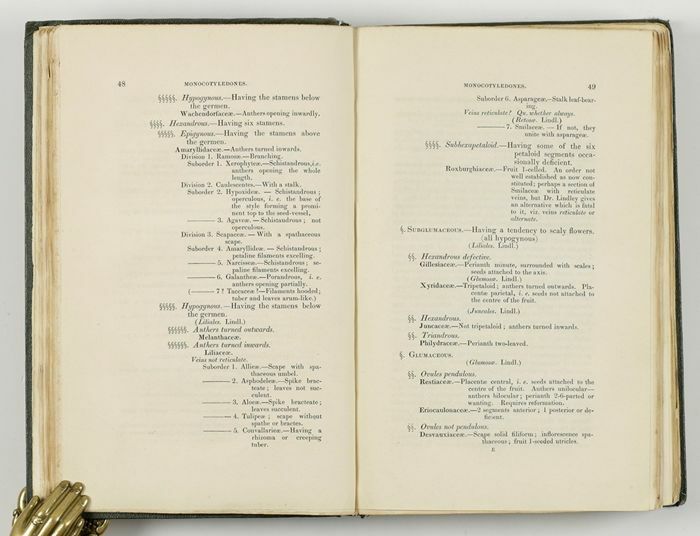 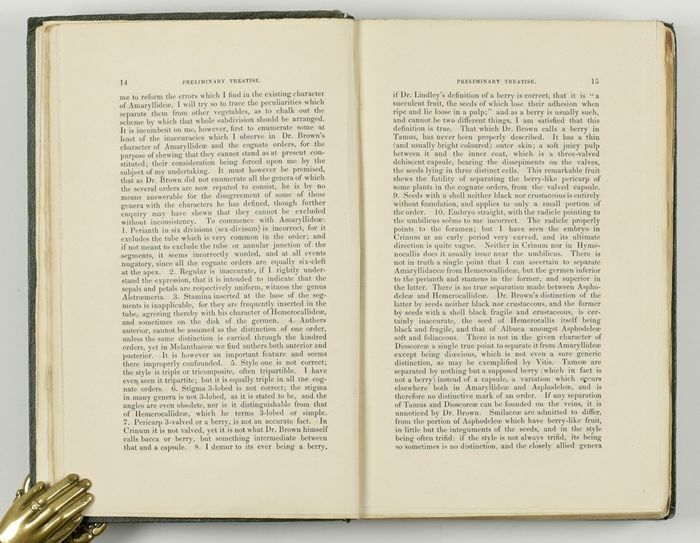 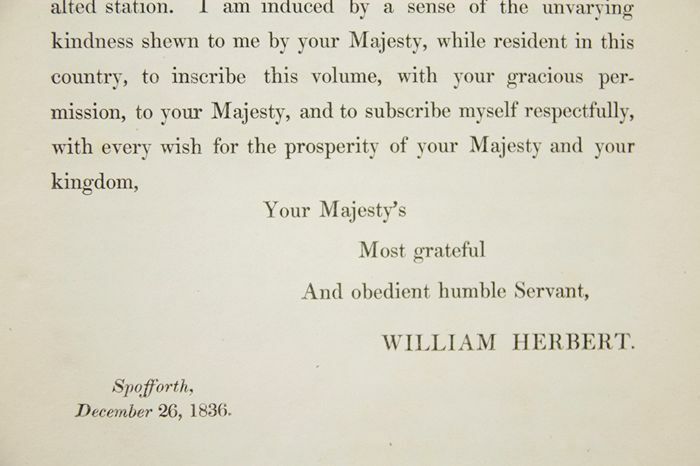 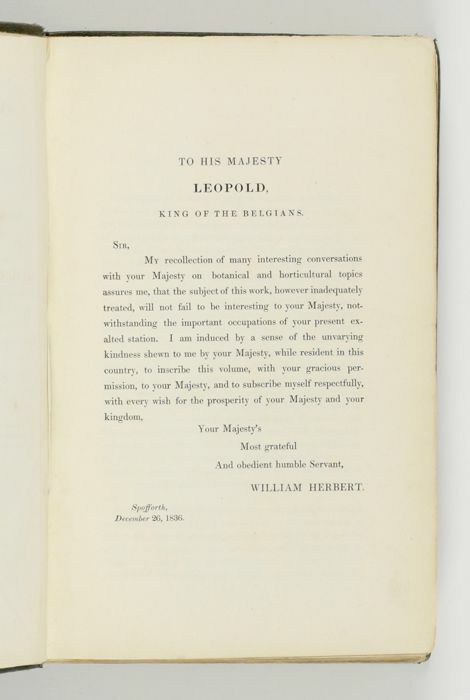 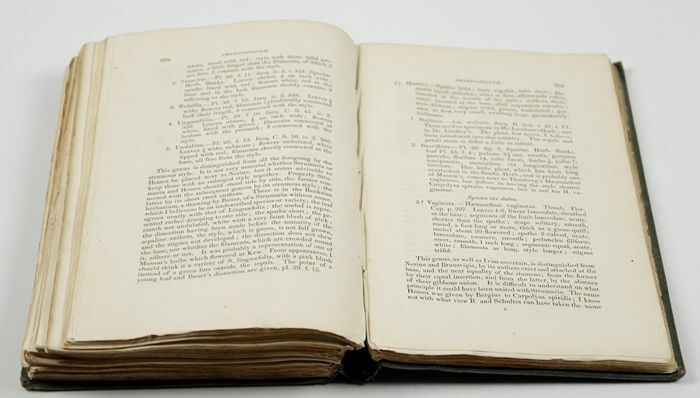 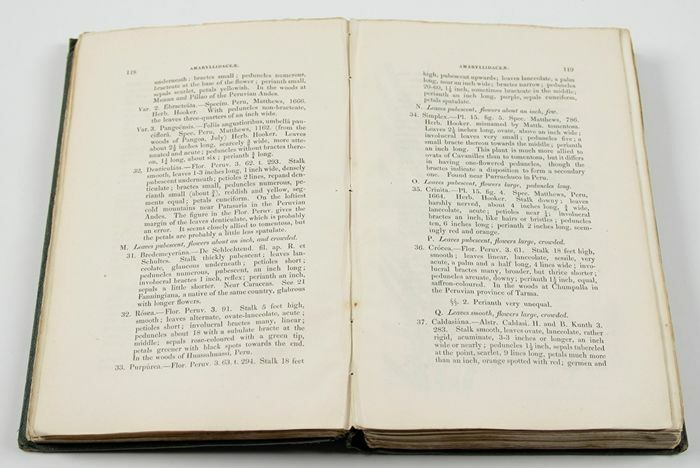 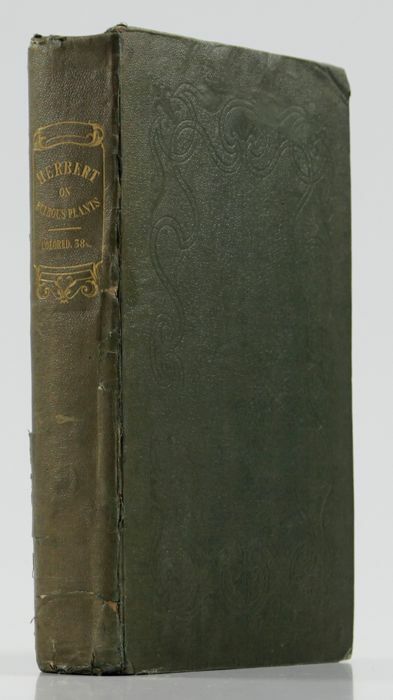 This is a rather rare monograph, written by the reverend and botanist William Herbert (1778-1847), with dedication leaf "To his majesty Leopold, King of the Belgians", date December 26, 1836. 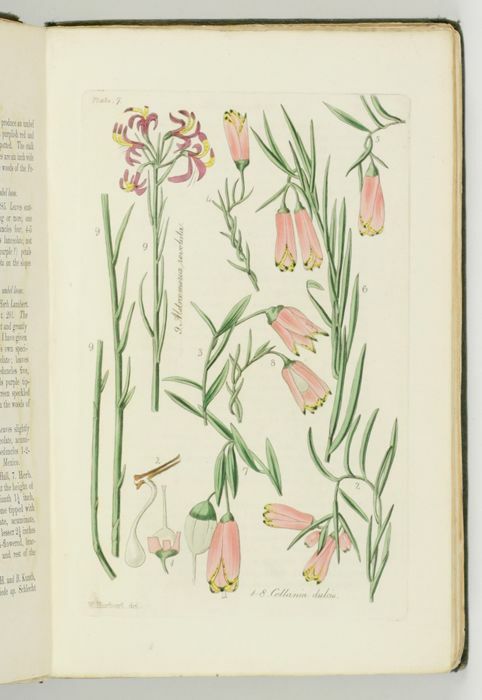 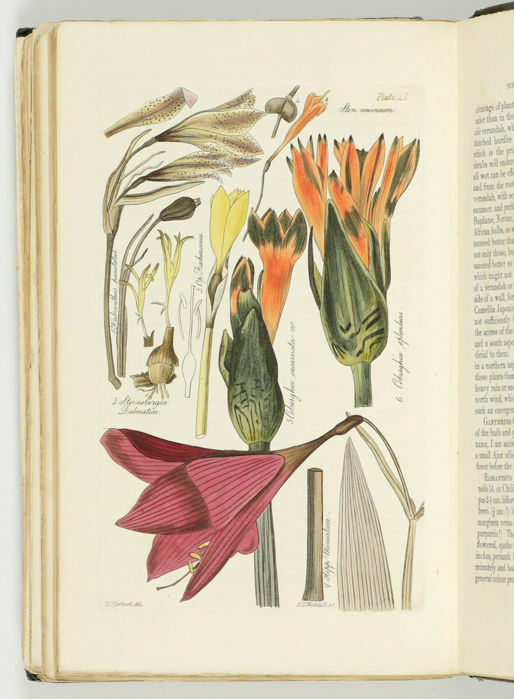 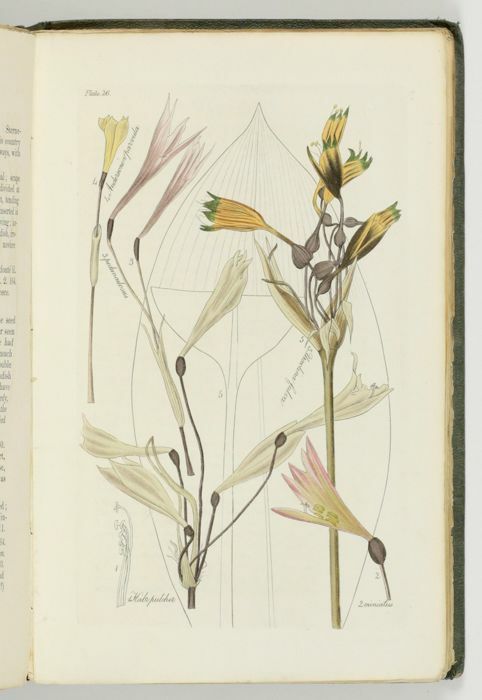 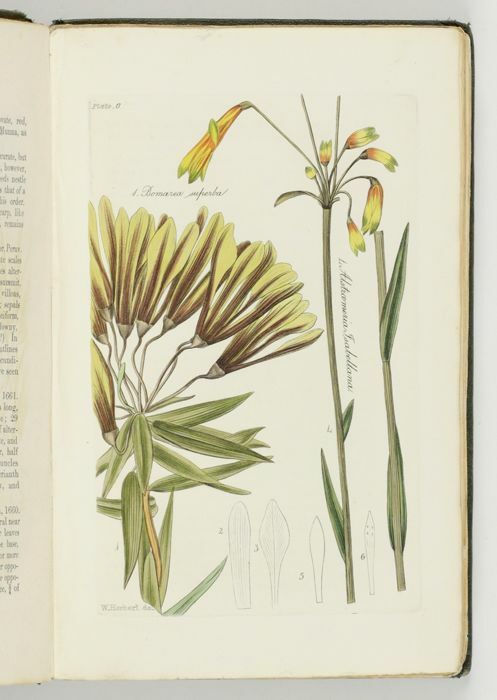 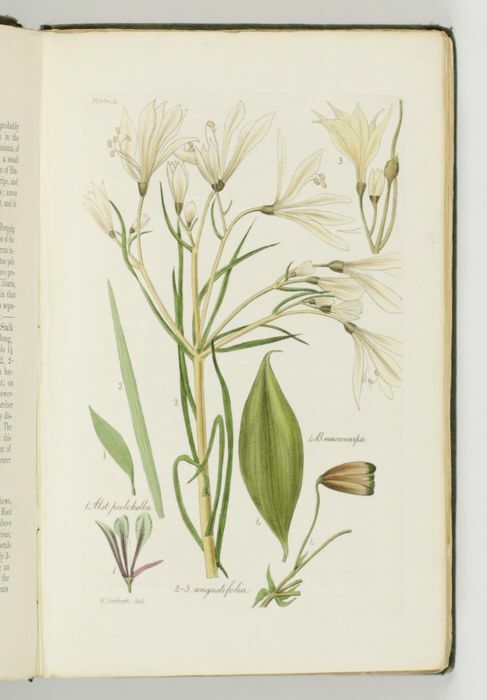 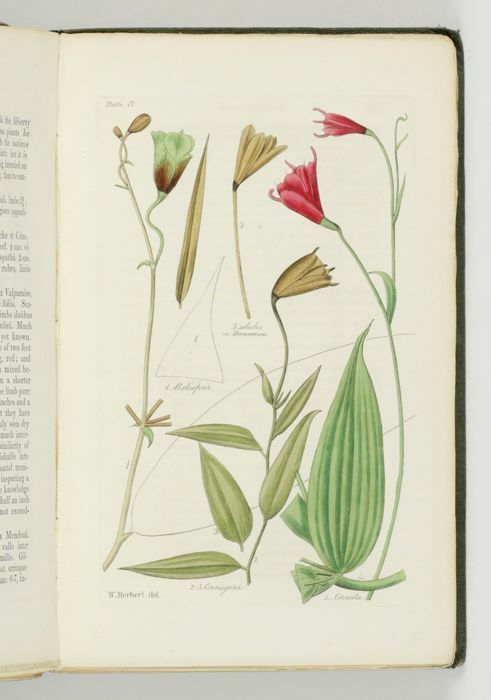 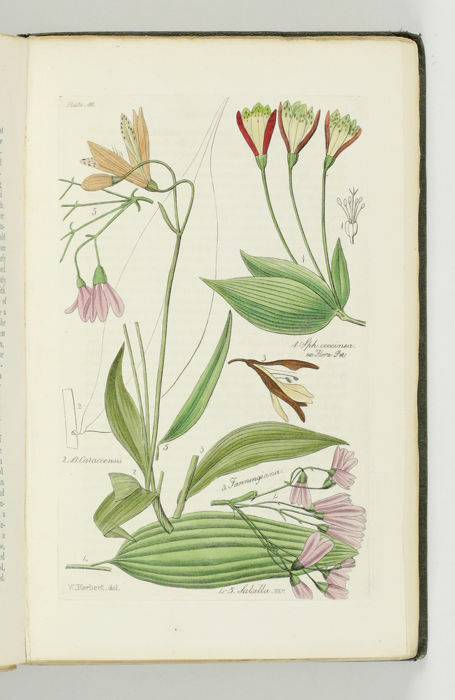 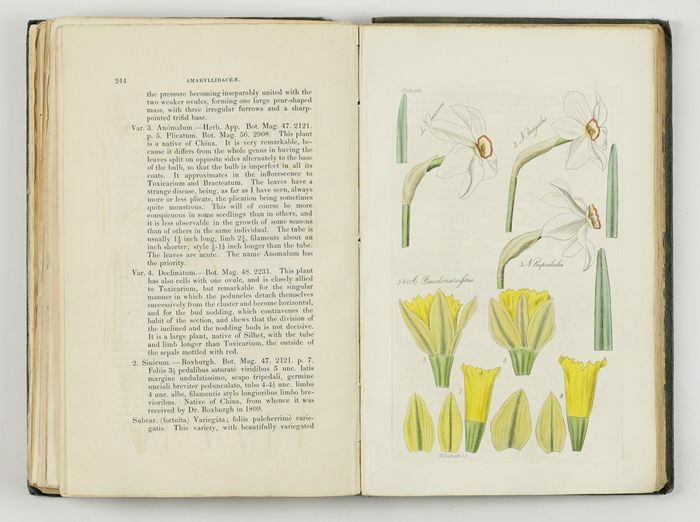 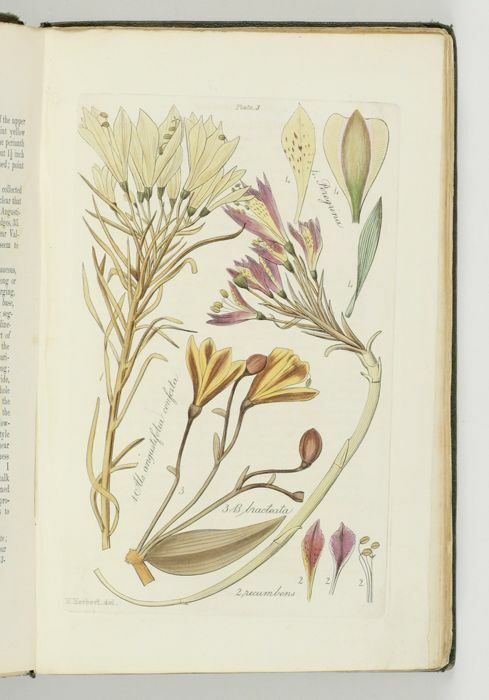 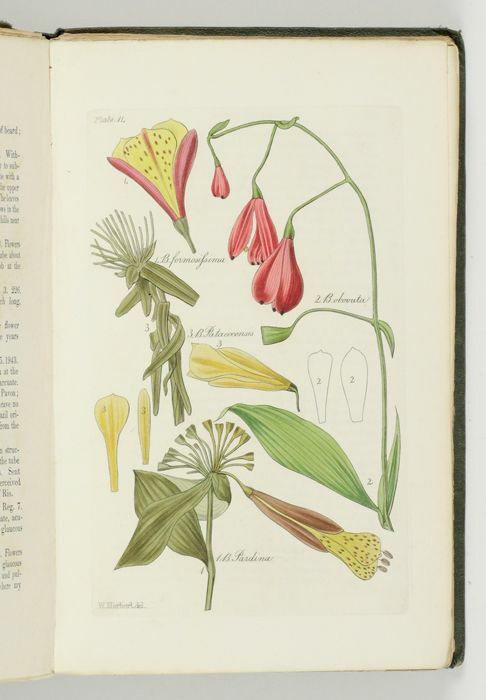 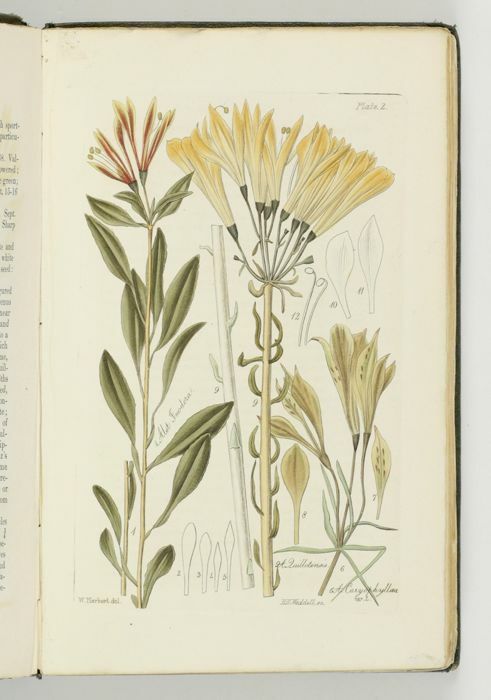 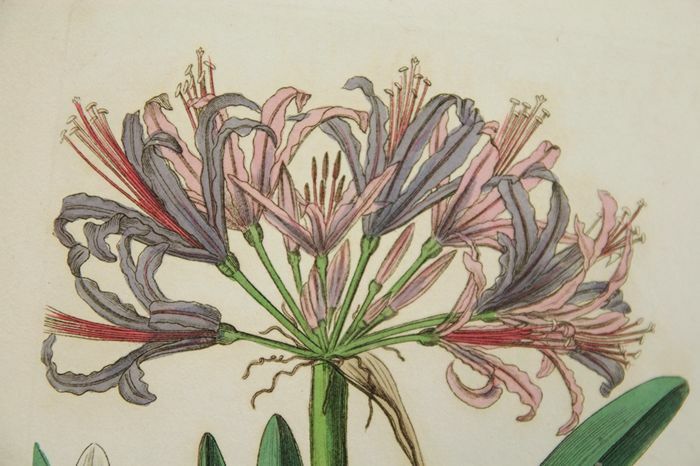 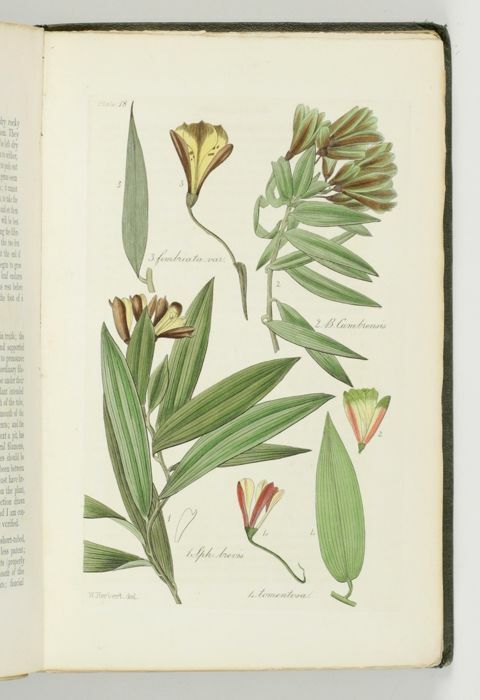 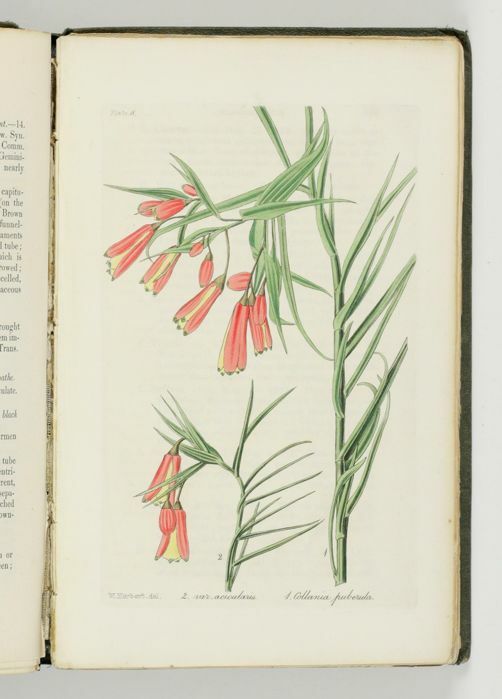 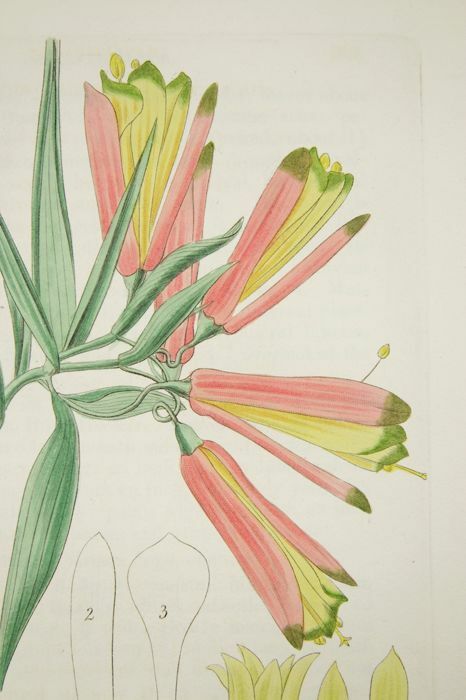 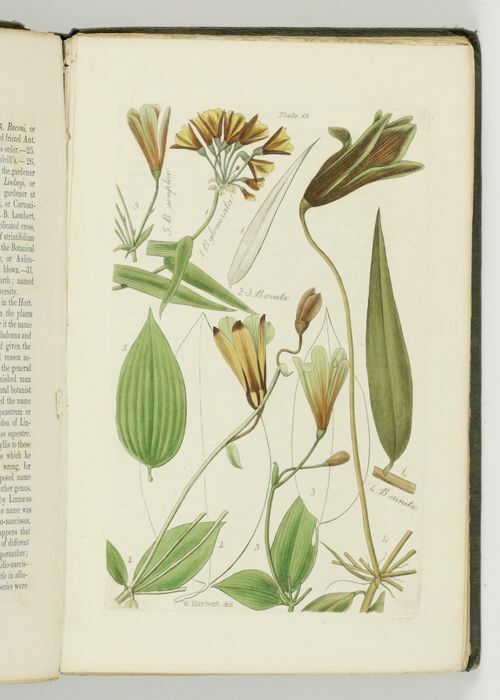 All the gorgeously hand-coloured plates were drawn by Herbert himself and engraved by Weddell. 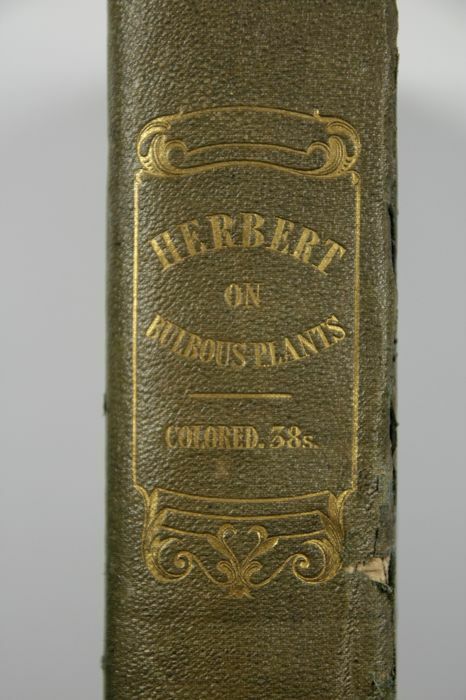 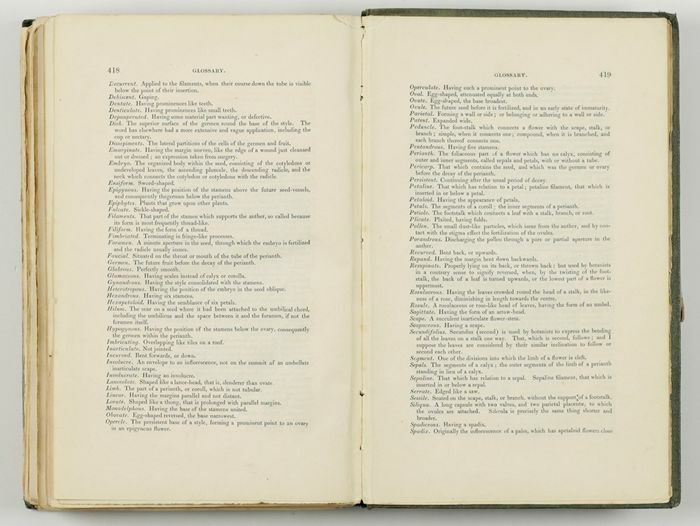 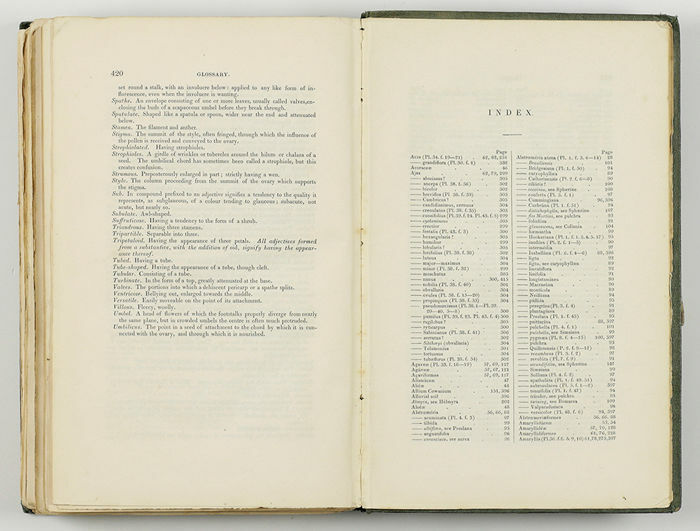 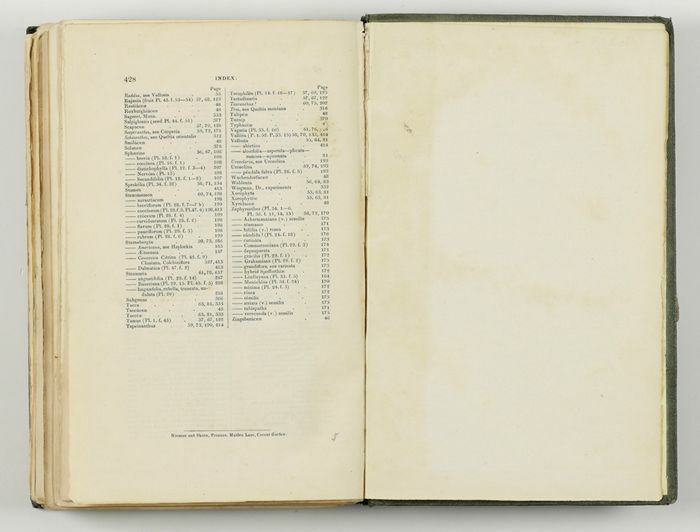 According to the spine text: "colored, 38s." 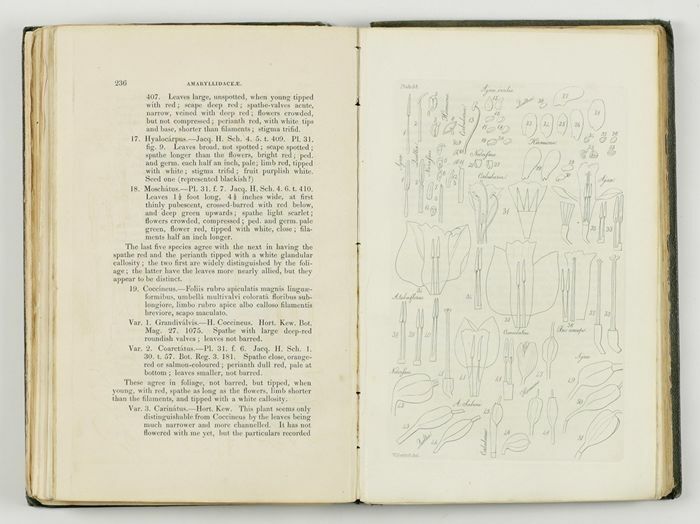 The more "technical" plates 33, 34, 36, 38, and 44 are plain; Plates 1, and 41 are only partly coloured. 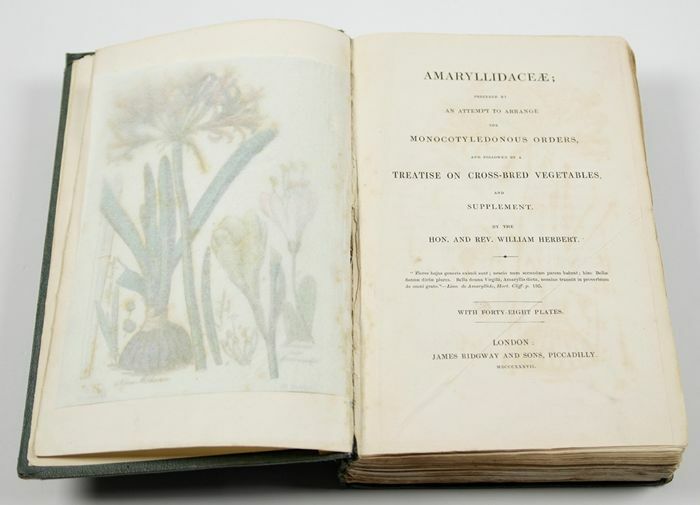 Provenance: Armorial bookplate of the malacologist and botanist Robert James Shuttleworth (1810-1874) on the front pastedown. 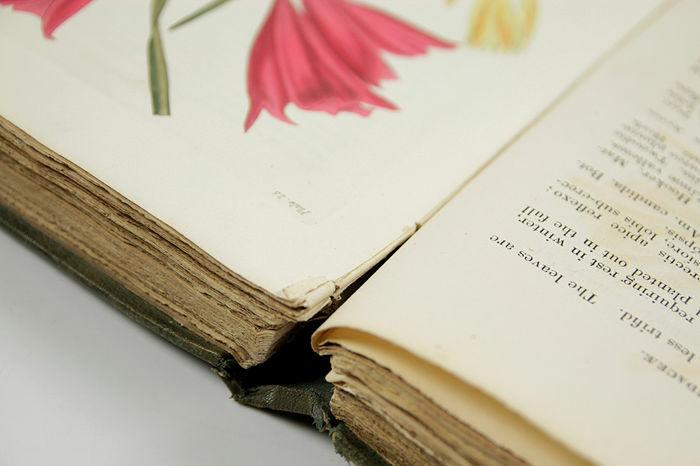 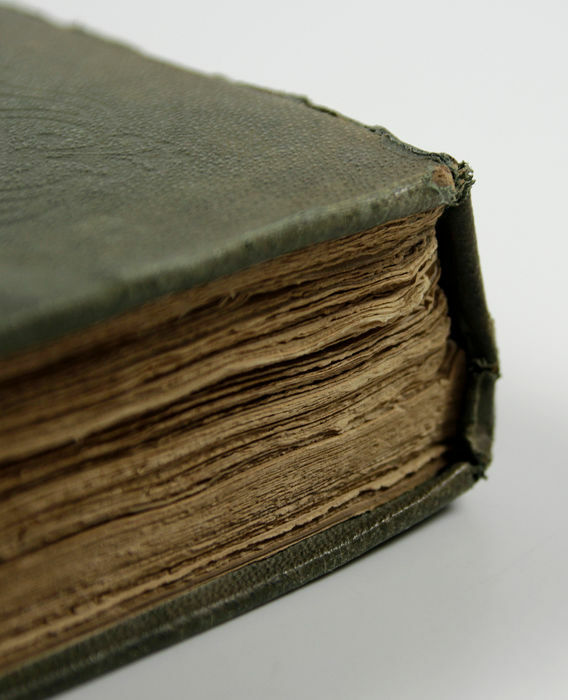 Spine ends a bit frayed, cloth lightly stained in places, spine showing some chipping, corners a bit bumped. 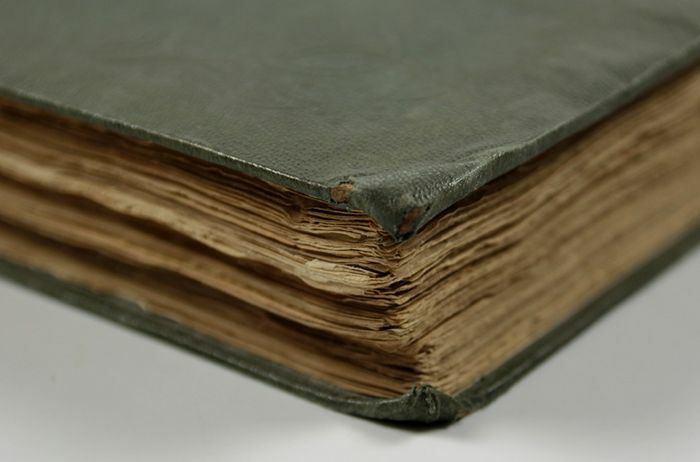 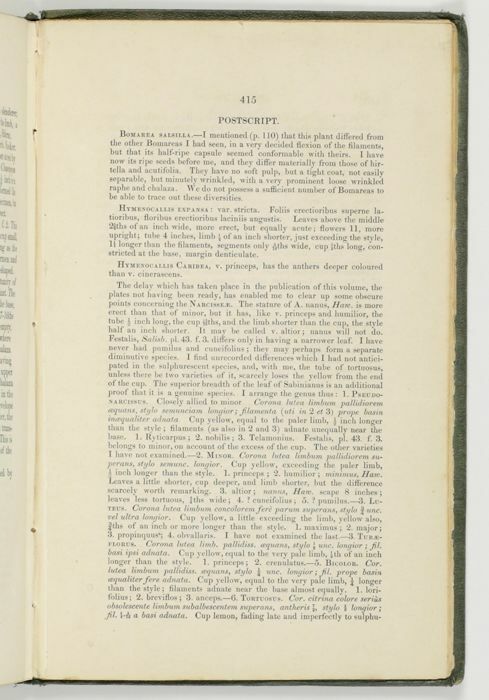 Tissue-guard of frontispiece foxed, fold on title page, light pencil note on two text pages, bookblock split in the middle, but holding quite firm. 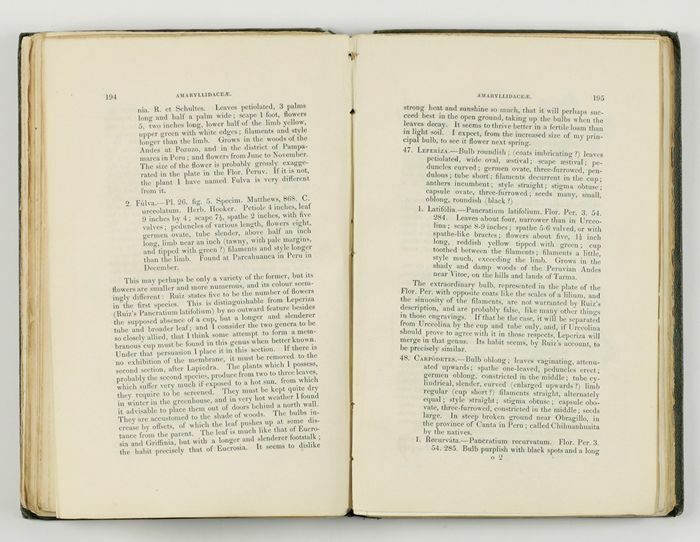 Faint offsetting to text pages opposite plates. 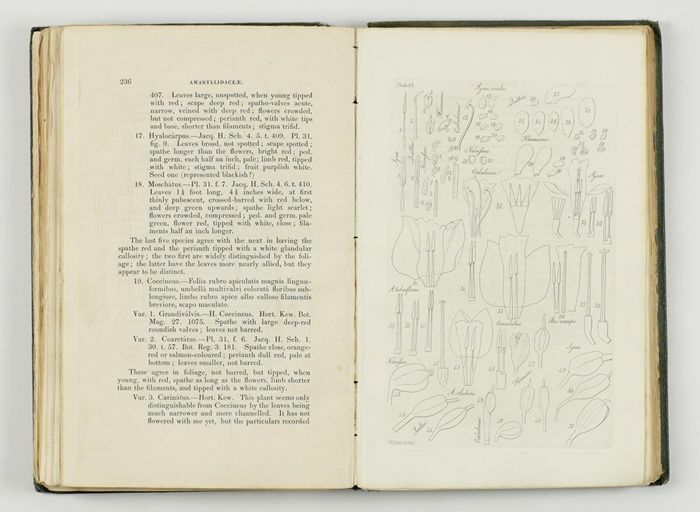 Plates, however, clean. 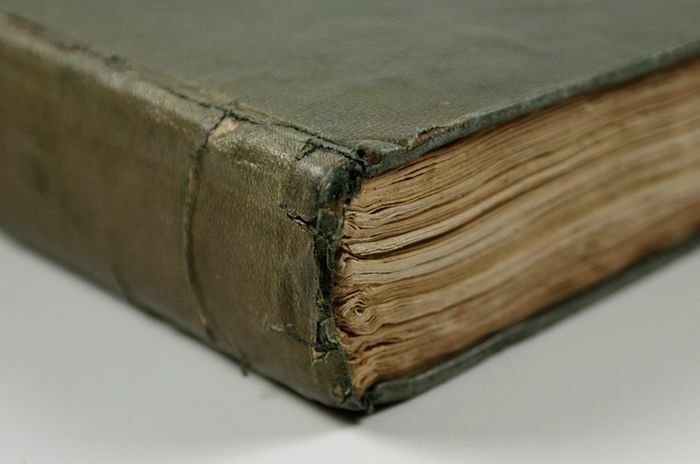 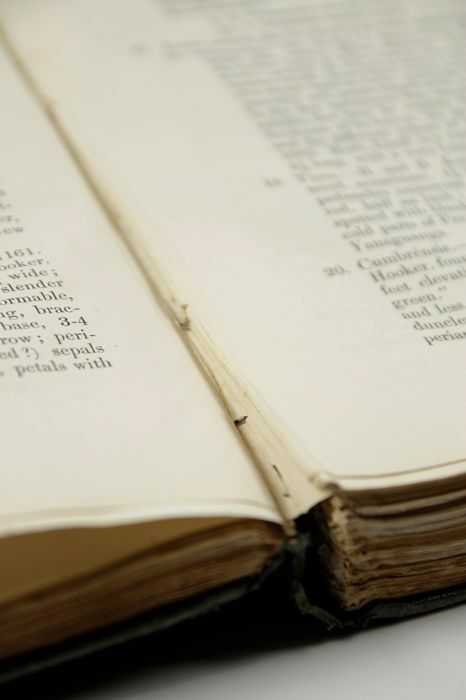 With some restoration to binding this will be an excellent copy in an original binding. 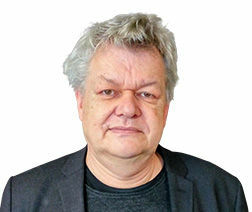 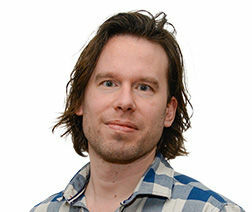 In all very good.